At our HQ in Silverstone resides a 2400BHP 4WD Dyno Dynamics Rolling Road. Enclosed within its own cell with the largest air flow fans in Europe, capable of flowing 36,000ft³/min each! That’s over 140,000ft³/min! This airflow means that we are able to run and map any type of road or race car without issues over cooling. 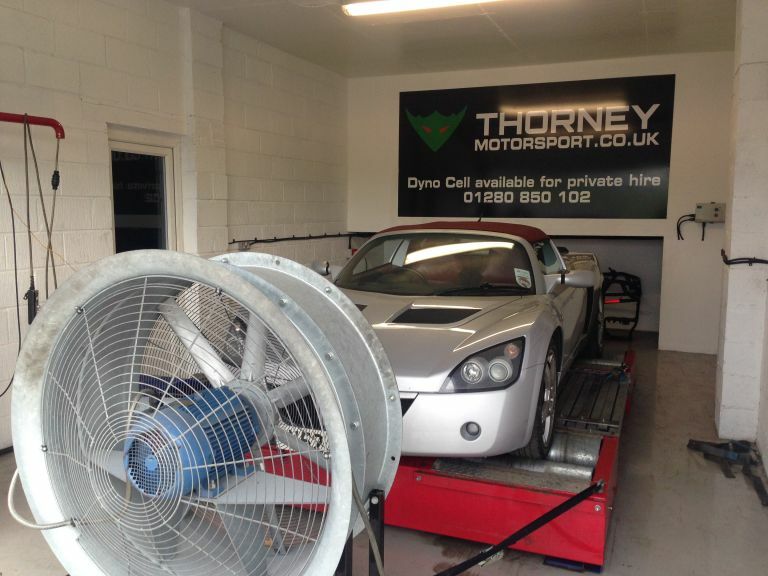 The dyno cell is completely self contained so can be rented by the hour, the half day or the full day without interruption from the rest of the workshop with no restrictions on noise. The front fans are moveable so airflow can be directed around the car to the intakes for rear engined cars. Front wheel drive, rear wheel drive, all wheel drive are all catered for without issue. 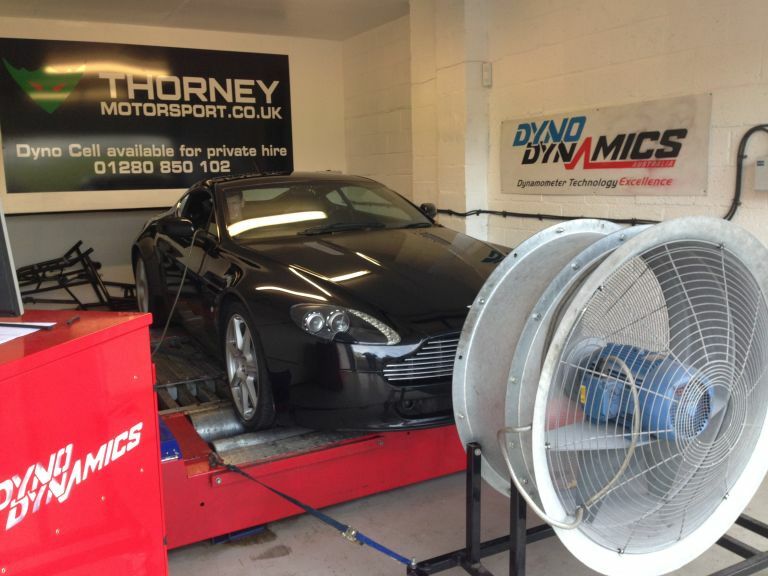 The dyno cell can be rented as a stand alone where you come with your own operator and mapper or as a fully staffed operation where we provide the operator to run the dyno and your mapper can concentrate on the ECU side and we run the car on the dyno. 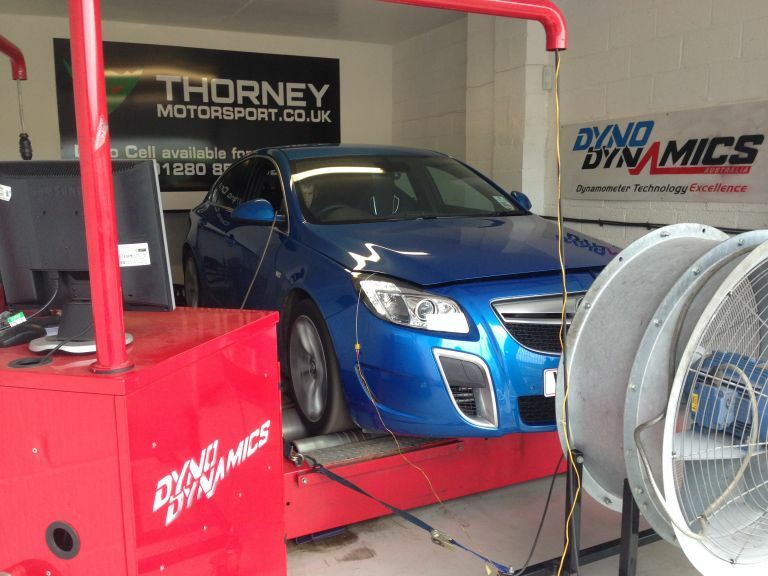 We also offer a club dyno day rate of £50 per car for a minimum of 15 cars where each car will receive a full print out showing power, torque, AFR and boost if FI as well as showing intake temperature, ambient temperature and for BMW and Vauxhall models a full diagnostic check of the ECU/DME. To book the dyno cell just contact us with your requirements.